If you are looking to bring your family for an exclusive magical experience, Disney World is a top theme park that continues to attract people from around the world. With over four parks, five living-complex communities and dozens of stores, it is no wonder everyone is flocking here for a vacation. 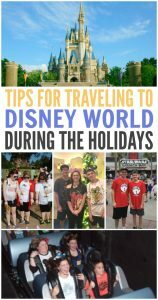 We are so excited to share with you Tips For Traveling To Disney World During The Holidays. 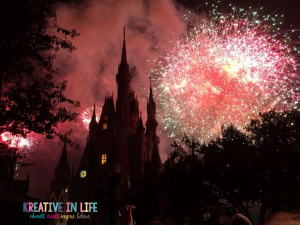 Surviving Disney World, especially during the holidays, requires strategic planning, organization and plan-ahead scheduling. 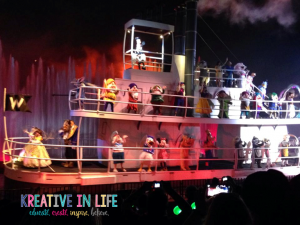 Here is how you can get the best experience from Disney World during your stay. One of the most raved about things at Disney World are the accommodations. They have a way of making their guest experience the magic from the moment you set foot on their property. Planning ahead is the most important part of receiving the fullest accommodations at the park, especially during the holidays. Book your trip a few months ahead of time. Purchase plane tickets and send the information over to Disney (via website or app). Disney World workers will expect your arrival, putting aside any pre-purchases for you until you get there – including park passes booked months in advance. If you’re staying on Disney property, this also helps notify the location of when they can expect you and have transportation readily available to pick you up. That’s right – when guests stay on DW property during your vacation, they will get free transportation to and from the airport and all around the theme parks for free! Don’t wait until you get to Disney World to figure out which theme parks you plan to check out. Doing this advance will not only help save you time, but it also saves you money. Purchasing theme park passes in advance usually comes with a significant price cut. Disney World rewards you for planning your trip ahead of time, giving you even more incentive to be more organized. Not only does purchasing the theme park passes to either Epcot, Animal Kingdom, Magic Kingdom or Hollywood Studios help save money, they also allow you to access a “Fast Pass +” option to help you reserve times for up to three rides in advance. This way you can start your trip off right, knowing exactly what the plan is when you get there. Our first year doing the holiday experience, I had this ridiculous spreadsheet schedule and actually thought it was best to hop all over the place. Wrong! We got hopper passes for the four days we were there but we decided to do a park a day and that worked great for us. We chose the park that had special events and early or late hours for that day. 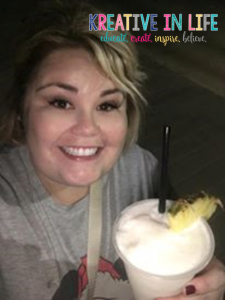 The holidays offer so many wonderful experiences that we didn't want to miss so it was important that we had a night at each park too. If you are staying on property, one of the perks includes extra magic hours. Y'all, those are like gold. We would get up early and hit the park as soon as it opened. We would go until mid afternoon when it got really hot (and yes, it got super hot last December and I thought I was going to die, ha) and went back to the hotel for a nap. 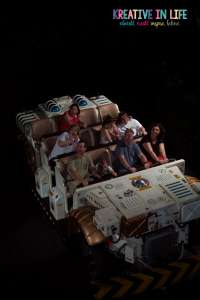 Then, we woke up and headed back out around 8:00 p.m. and would go until 2:00 a.m. when the park closed. Eventually all of the littles tire out and those families go home. One year, Grace and I rode Space Mountain THREE times in a row after 1:00 a.m. It was awesome! Oh, and last year, my mom and I got up ridiculously early (I think at 5 a.m.) on New Year's Eve to be at Epcot by time it opened because we wanted to ride Soarin' without a wait and couldn't get a fast pass. We looked all kinds of tragic but we didn't care. We waited maybe 30 minutes, road Soarin, and then went back to our hotel to sleep. Ha! It was worth it! I knew my mom would love it so we had to figure out a way to do it. Who cares if we were running on three hours of sleep. 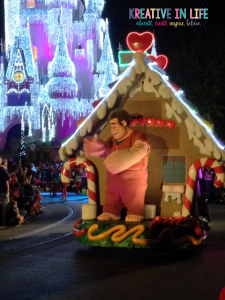 The holidays are a rough time of the year anywhere, nonetheless at a huge theme park like Disney World. You can expect to have delays on rides and even to purchase tickets at the booths in Disney. Downloading the My Disney Experience mobile app promises to eliminate all wait times. You can pull up any ride at any given time and see how long the current wait is. It's awesome! You can automatically link your theme parks tickets into your My Disney Experience app too. Set these up with the rides you want to get on first and reserve your time. You will be able to bypass the normal line and jump onto the “Fast Pass +” line. Generally, you have an hour reservation, so you can take your time getting to the location without worrying about missing your opportunity. This is great because you can set it up months in advance to ensure you have your entire trip planned out accordingly. This makes the holiday trip run much smoother. Now, don't be crazy like me and grab the first three fast passes you can get your hands on. Our first day, I had us running a hundred miles an hour to get from one side of a park to the next to catch a fast pass. The best way to get the most out of this luxury is to plan all of your passes in one area. You can download a Disney map online or call and get one mailed to you. This way, you know which rides are close to one another. Try to get as many fast passes as you can in the morning. After you have used all of your fast passes, you can go to a kiosk and book one at a time. Most days, we used six fast passes or more. It was ah-mazing and the large crowds didn't keep us from skipping a beat. If you don't have a fast pass, consider going in the single rider line. My mom, kids and I did this last year for a roller coaster and we all got through within 30 minutes vs the two hour wait without the fastpass. Ain't nobody got time for that. Ha! Chances are, there will be no available seating in the restaurants on Disney property during the holiday season. Why is this though? Everyone makes their reservations ahead of time, so most of the restaurant will be reserved for the entire holiday season. Planning ahead and making reservations on the mobile app can get you into the best restaurants Disney World has to offer without any issues. In 2014, my girls and I went the first week in December and reservations were not an issue. We got to eat wherever we wanted (besides the castle, that was a bummer). I took my whole gang back in Dec. 2015 for New Year's Eve. This time I made reservations for at least one meal a day during that trip or else we may have starved. Okay, that's dramatic but you get my point. It's super busy right before Christmas through the New Year. Also, you are charged a reservation fee per person if you do not show up for your reservation or cancel within 24 hours, which means people are more likely to cancel if they think they can't absolutely make it. This is good for you. I checked the app several times a day if we were trying to get into a specific restaurant until we got it. The first time I looked in October, there were no reservations. Within two weeks, after persistent searching, I had us at least six good reservations. 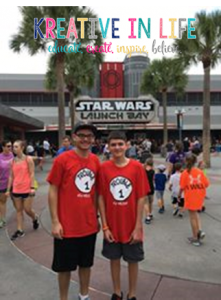 Check out the My Disney Experience for more information. There are several things you don't want to miss out on during the holiday season. First of all, if Mickey's Christmas Party is going on while you are there, get tickets. You won't regret it! The lines as so short, the cookies and hot chocolate are amazing and the Christmas spirit is strong. Make sure when you are at Magic Kingdom, you watch a fireworks show and see the electric parade. I had enough magic in me after those experiences that I could have channeled my inner Tinkerbell and flown away! 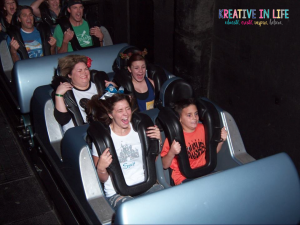 We also loved Fantastmic at Hollywood Studios. Really, Hollywood Studios has THE BEST shows! Make sure you are at Epcot one night and early enough to get in line for the Candlelight Processional. It's the most magical display of Christmas music. If you can afford it, buy the dinner tickets so you don't have to wait in that long line. They have a celebrity guest host each night and do the reading, which is pretty neat. Our first year, Whoopi Goldberg was the celebrity guest. The fireworks at Epcot were the most amazing fireworks I have ever seen in my life. On New Year's Eve, they actually have two shows and the one at midnight will blow your mind. It was the most amazing experience to share with my family last year. Just know that you will wait forever and ever for a bus to take you back to your hotel after the New Year's Eve fireworks. Go to the restroom and grab a snack on the way out of Epcot. Magic Kingdom usually has their New Year's Eve fireworks show on Dec. 30th and Dec.31st so go to MK on Dec. 30th and Epcot on the 31st. Oh, and another thing, you can bring snacks into the parks! 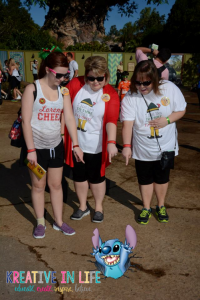 I think this makes me love Disney World even more. We packed PB&Js, granola bars, crackers, etc. each day into our bag. I made everyone in our family each pick two snacks for every day. We had one backpack that we took turns carrying. In it we had snacks, band-aids, lotion, hand sanitizer, sun block and bug spray…all travel sizes. We would also each have a water bottle that we could refill at various places. Everyone will give you water. Stay hydrated! In true travel fashion, we hit up the fun stuff for each person in the family. The boys loved Star Wars and Grace was over the moon for The Little Mermaid. Sure, she was 18 but a girl never stops loving a princess! As you can see from our pictures, we did coordinate our outfits because yes, I am THAT mom. I purchased various shirts from disney.com, amazon and Etsy. Everyone was allowed to purchase one shirt and ears during the trip though. Ordering a few things ahead of time definitely saved us money, which helped us get more fun stuff while we were there…like THREE light sabers that my boys just HAD to have. (eye roll lol) Don't worry, you don't have to lug that stuff around though. Anything you purchase at a theme park can be delivered to your hotel. You just pick it up in your hotel's gift shop when you get back. This makes shopping easier and also gives you no excuses when your kids want ridiculousness, such as THREE light sabers…I'm really going to have to let that go. Ha! At the end of the first day, I really felt like I deserved a prize for keeping us all from killing each other and zero melt downs to boot, especially since we literally went for 14 hours. Parents, there are nice beverages at your hotel for you to grab on your way back to your room! We have now survived Disney World during the holidays for two straight years and I'm not gong to lie, I am a little heartbroken we are not going back this December. We were fortunate enough to plan those trips because my daughter was the high school mascot the last two years and received NCA's All American award so she got to dance in the Christmas Day parade in 2014 and do a skit before the Citrus Bowl on New Year's Day in 2016. Needless to say, I have done my share of fundraising the past two years but it was worth every single ounce of effort. I'll leave you with this picture we took last year. For our one year Family Anniversary, we took our kids to Disney World in 2007. 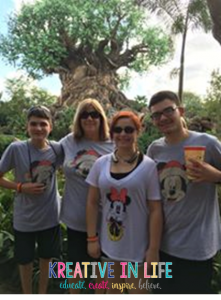 We fostered our kids for three years before adopting them and this was a very special trip. My daughter remembered taking this picture when she was younger so we had to find it on FB and recreate it. 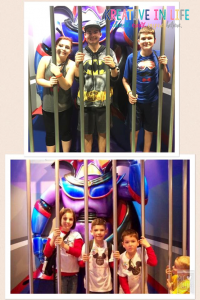 We have now been to Disney World twice as a family (only the girls went in Dec 2014) and both trips hold memories that I will forever cherish! Best of luck in your holiday travels. Christmas is my favorite time of year and Disney World spares no expense in their decorating. It's simply amazing. 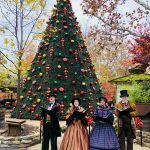 They showcase the most beautiful holiday decorations you will probably ever see in one place and the lights are phenomenal. Disney is already magical but when you throw in the holiday spirit, you can't help but have a full heart and embrace the spirit of happiness and joy. I, myself, would go back in a heartbeat. 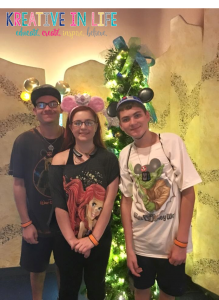 For this last trip, my kids were 15, 17 and 18 and had the time of their lives. It doesn't matter how old your kids get, they are never too old for Disney World. After all, it is the Happiest Place On Earth.